Row 2 (L to R): Collin Doyle, Connor Thune, Aaron Kauser, Dylan McKinney, Ian McCandlish, Angelo Ricci, Caden Zellner, Thomas Sauer, Josh Conroy, and Nicholas Fuchs. Row 1 (L to R): Lainey McGonigle, Katie Zaremba, Gabby Elliott, Lexi Hall, and Julia Anderson. 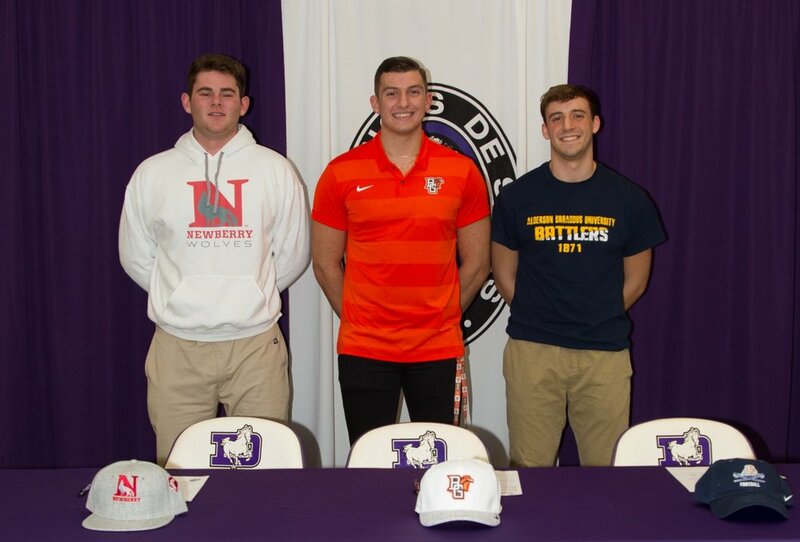 APRIL 10TH, 2019 — St. Francis DeSales held the schools first Collegiate Athletic Commitment Celebration to honor those student athletes who are continuing their athletic careers at the Division III and NAIA Level, as well as those who have recently made their decision to continue at Division I and Division II Institutions as scholarship athletes and preferred walk-ons. 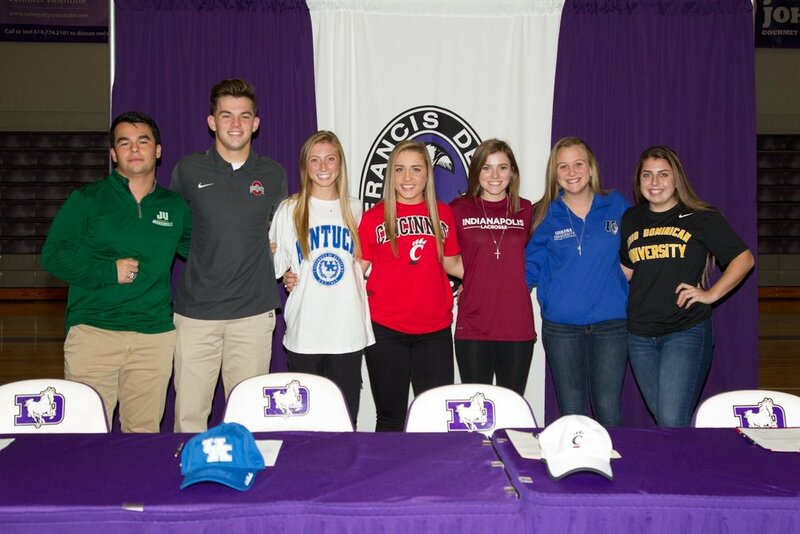 L to R: Tommy Clayton, Carter Hilleary, Maddie Rennie, Sophia Finotti, Mary Hazelton, Faith Strapp, and Kyla Payne. 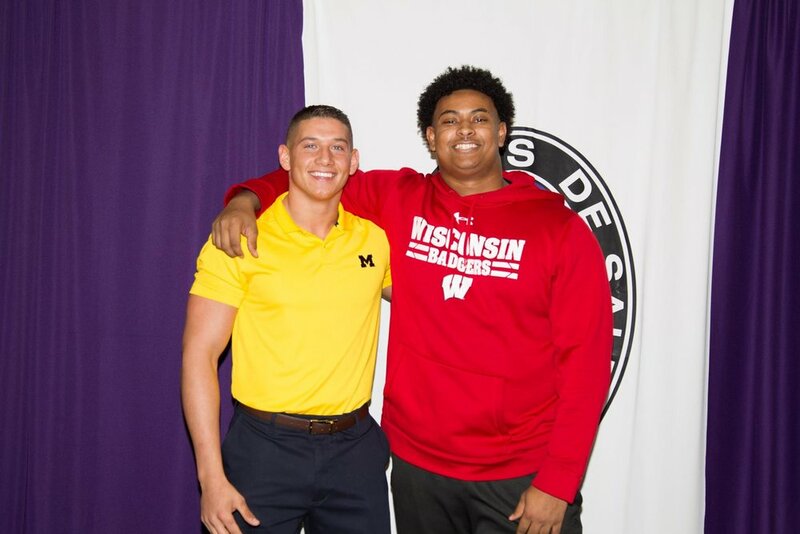 L to R: Joey Velazquez and Rodas Johnson. L to R: Bo Hobgood, Chris Karras, and Anthony Sciarroni. Newer Post2019 Summer Camp Registration Now Open!